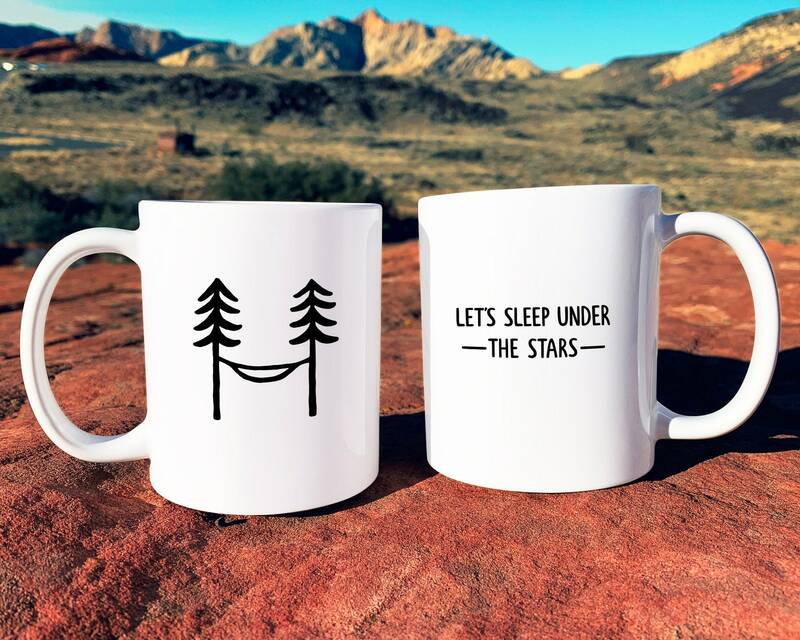 Our amazing printing partners produce and ship our mugs from their studio in Phoenix, Arizona. They use high quality products and printing materials to create your mug, and their dye sublimation printing process ensures that your mug's design won't fade or peel away. Sublimation printing uses a method that transfers the design directly onto the product, so the design becomes a flat and permanent part of the mug. Please allow 3 - 5 business days for production. All mugs & drinkware are shipped directly from our awesome production partners in Phoenix, Arizona. Domestic shipping usually takes between 2 - 5 business days, and international shipping usually takes between 2 - 5 weeks (these delivery timelines are estimates - please keep in mind that we are unable to guarantee delivery dates, we can only guarantee ship-by dates). Please be sure to double check that your delivery address is correct, once your order has shipped we are unable to make any changes to the delivery address. PLEASE NOTE: We are unable to take returns on custom items. If your item is NOT custom, we accept returns as long as the item is in its original, unused condition, and as long as it is shipped back to us in the original packaging - please message us for return shipping instructions (do not return your item to sender). Buyers are responsible for all return shipping costs. We accept cancellations on orders if you request the cancellation within 2 hours of purchase. Our products are shipped carefully and securely to ensure they get to you undamaged - however, in the rare event that your item was damaged in transit, please contact us within 3 days of your orders delivery and provide us with photos of the damage (be sure to include photos of the product and the packaging). Once we verified the item's condition we will send you out a new mug asap!